Is your most important digital asset for sale on the Dark Web? WEM Technology – a WLB member – are a Managed Service Provider (MSP). They are a trusted partner and advisor to numerous West London businesses, providing a broad portfolio of services that can range from endpoint and server management to data backups, performance and capacity monitoring and Cloud management. WEM Technology has launched the industry’s first commercial solution to detect compromised credentials in real-time on the ‘Dark Web’. Digital credentials such as usernames and passwords are used by their customers to connect to their critical business applications, as well as online services. Unfortunately, criminals know this — and that’s why digital credentials are among the most valuable assets found on the Dark Web. The Dark Web is made up of digital communities that sit on top of the Internet, and while there are legitimate purposes to the Dark Web, it is estimated that over 50% of all sites on the Dark Web are used for criminal activities, including the disclosure and sale of digital credentials. Far too often, companies that have had their credentials compromised and sold on the Dark Web don’t know it until they have been informed by law enforcement — but by then, it’s too late. 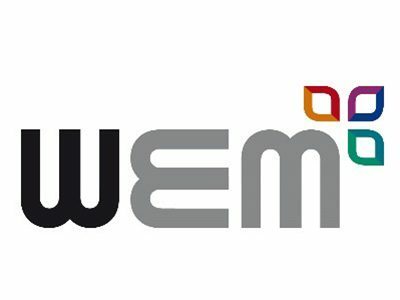 WEM Technology’s new service uses a proprietary technology to vigilantly search the most secretive corners of the Internet to find compromised credentials associated with companies’ employees, contractors and other personnel, and notifies them immediately when these critical assets are compromised, before they are used for identity theft, data breaches or other crimes. This is a tool to protect your most valuable digital asset, and reduces the risk of being in the headlines due to a data breach. Online criminals can hide from you — but they can’t hide from WEM Technology’s Dark Web Credential Monitoring Service. Dark Web ID provides continuous searching, monitoring and reporting of your digital credentials on the Dark Web. Supports hundreds of different sources, including criminal sites that sell credentials. WEM Technology establish specific domains to search, and provide real-time notifications when matching data is found. Delivers enterprise credential monitoring capabilities to organisations in the SMB and mid-market space. Connects to multiple Dark Web services including Tor, I2P and Freenet, to search for compromised credentials, without requiring you to connect to these high-risk services directly.